View basket “Peckish Single Coconut Shell Treat” has been added to your basket. In less than a year, Peckish has become the fastest growing brand within the bird care market. Get the full range of products right here and delivered to your door across Ireland and Northern Ireland. McD’s have an extensive birdcare section open in our main premises in Loughrea. 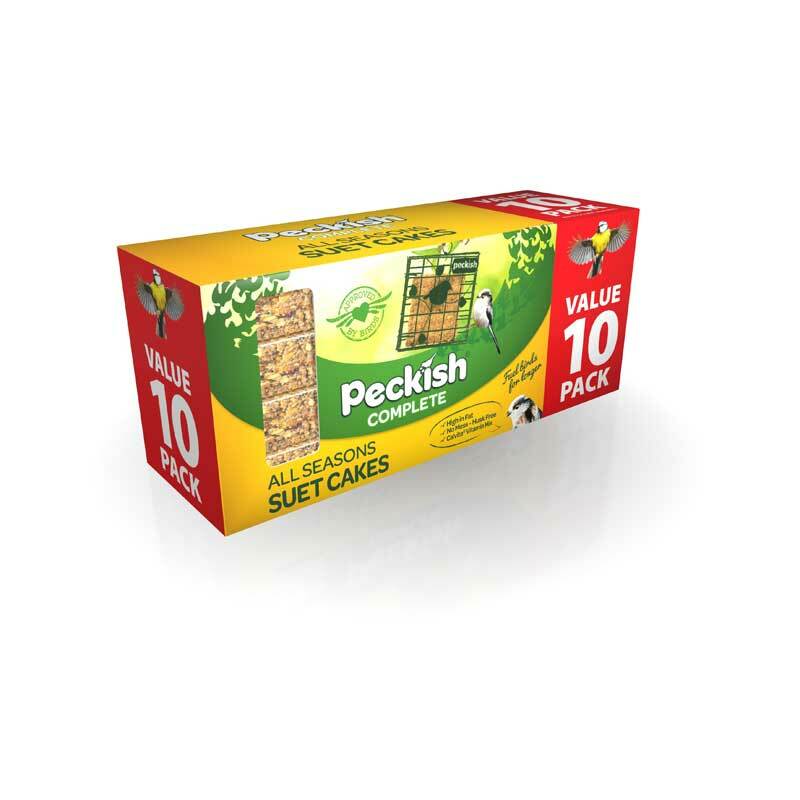 Peckish Complete Suet Cakes contain 12 types of seeds which have had any husks removed to prevent mess and waste. These 12 types of seed long with the beef tallow used to make the binding suet has been proven to attract the UK’s top 10 garden birds. This suet cake can be used in a feeder, on the ground or on a bird table and provides birds with a high energy, nutritional food to fuel birds for longer. Proven to attract the u’s top 10 favourite garden birds.